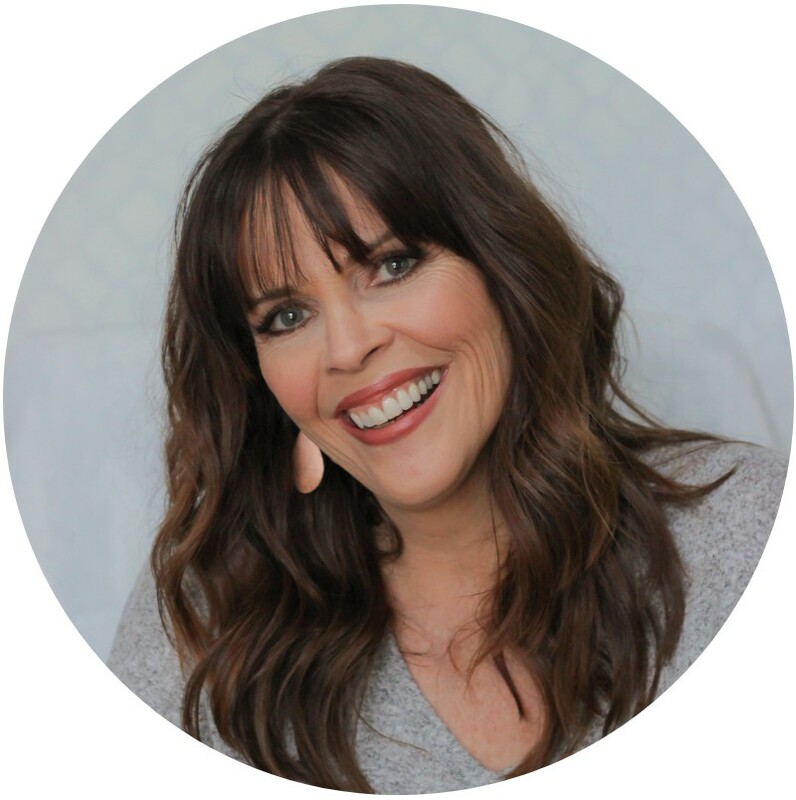 I'm so happy to finally share the whole thing with you! Time for the reveal! Ta Da!! It really all came together!! I just wish my lighting was better in there, the photos don't do it justice. The next couple of weeks are going to be a little nutty for me. We just started our last apartment renovation, and believe me when I say this one is the WORST one!! But it's our last one!! I can't believe we've done 13 apartments in 3 years. Now, not all of them had to be gutted. It's been a long hard road, but I see a light at the end of the tunnel! So, working there will be my priority and I'm going to be subbing as a cashier at the high school for a few weeks. It all started with those STRIPES!! I am so happy with how mine came out! 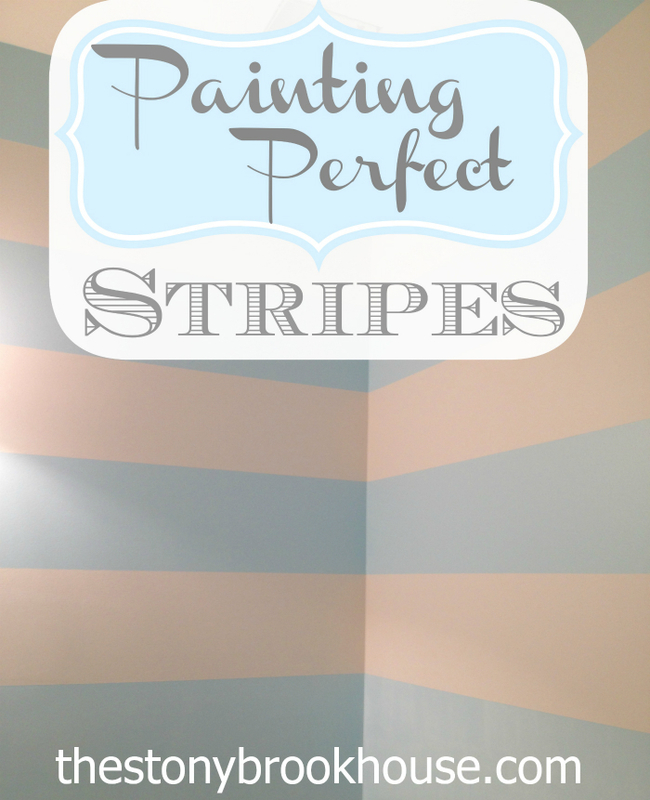 You can see how I got those "Perfect Stripes" here. 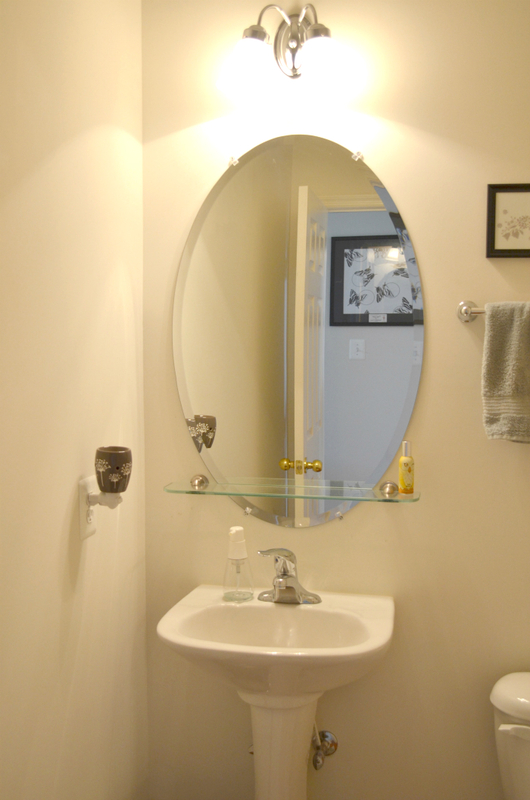 Next, I took down the towel bar.... that was an experience! 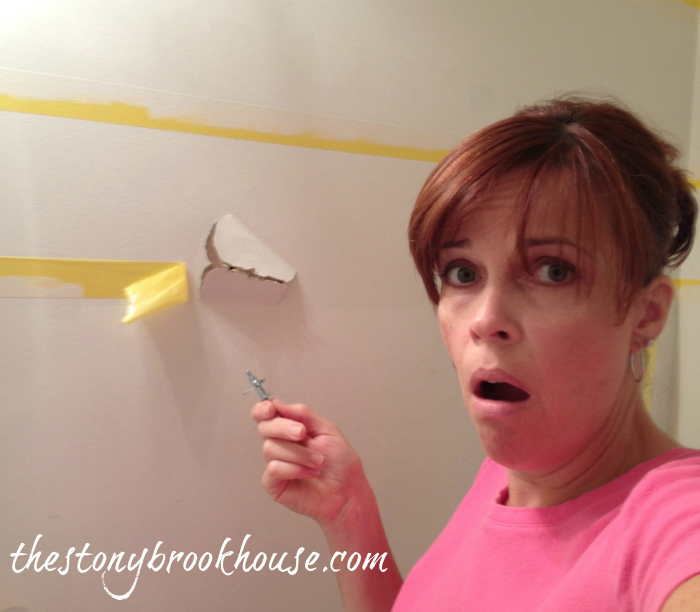 You can check out The Powder Room Mishap here. Ha!! That "oh my gosh!" feeling comes back every time I see that picture. Then I procrastinated putting up the wallpaper. I finally did it and was soooo happy with how that came out! 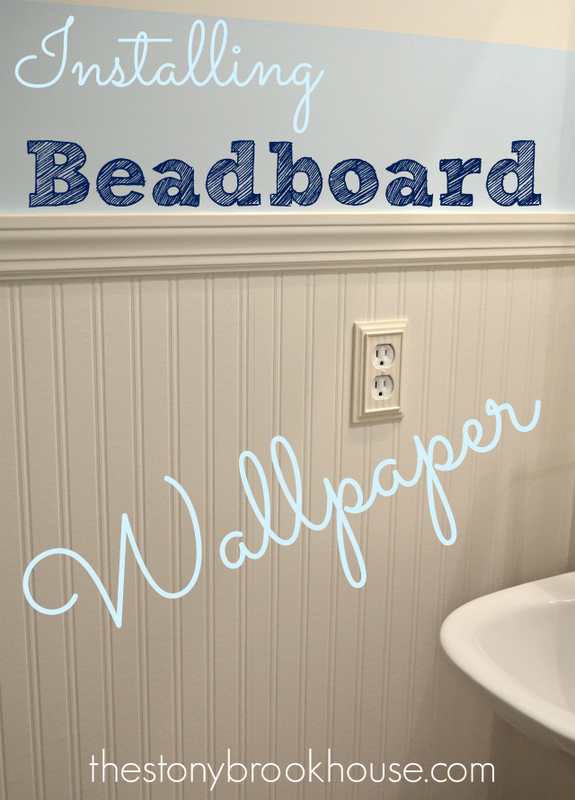 You can check out my post Installing Beadboard Wallpaper Here. Hubby put up a new light fixture. It took us a while to find it. We bought the fixture, then picked out the shades separately. 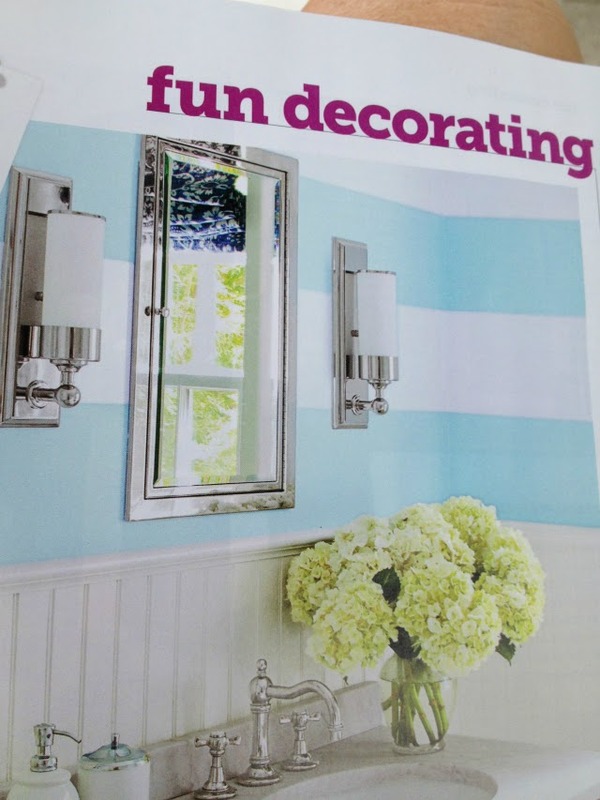 I think they reflect the look we were looking for, fresh, coastal and relaxing. I picked up these cool toilet roll holders at Target. I ended up buying two, one for the toilet paper and one for a towel holder. Love, love, love! They are perfect. 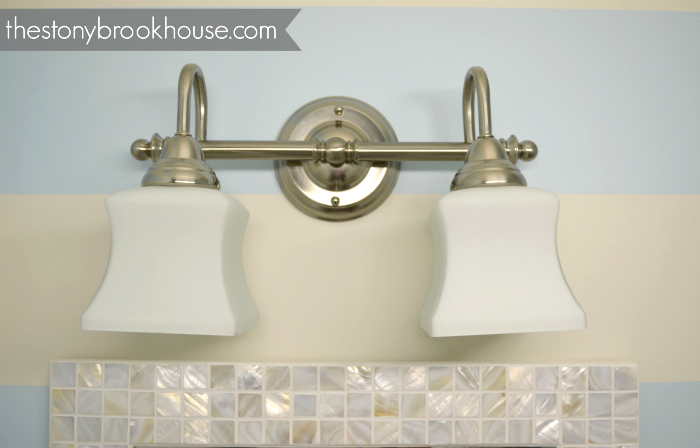 I really like the towel holder right next to the sink so you don't drip your hands all over. 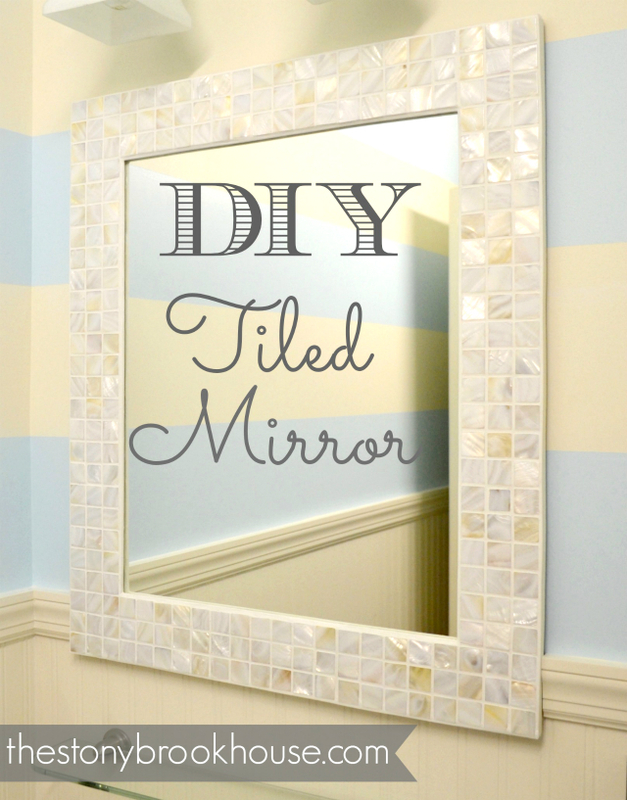 And lastly the glorious DIY Tiled Mirror. You can read all about that Here. I can't get enough of that sparkle! 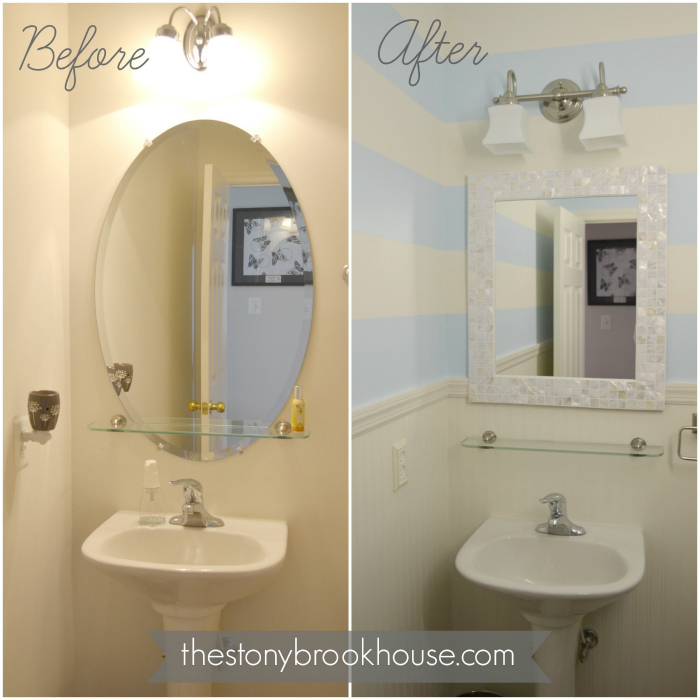 The powder room looks so different. Wow! Completely different! Almost out of place, because the kitchen definitely needs work. 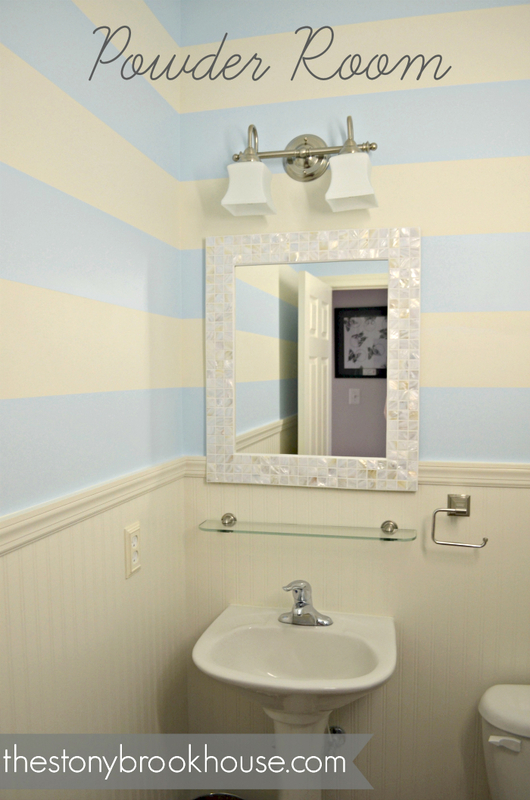 The Powder Room will look even better once decorated. So, there you have it! All done!